As Luther was awaiting word from Rome on its course of action against him, he authored a treatise on the papacy that reflected his earlier, more moderate approach on a divisive issue. The question of church authority had come to the fore at the Leipzig Debate in the summer of 1519, when despite Luther’s protestations that he was bring drawn into a discussion of the papacy, he nevertheless offered the opinion that popes like councils could err and therefore were subject to the authority of Scripture. In the intervening year his position would sharpen, especially upon finding that the famed Donation of Constantine—which attributed temporal authority over the Roman Empire to the papacy-was a forgery. It was also during this period he first made the contention that the pope might be a possible antichrist, written in a private letter to Georg Spalatin, his friend and secretary in Frederick the Wise’s court. 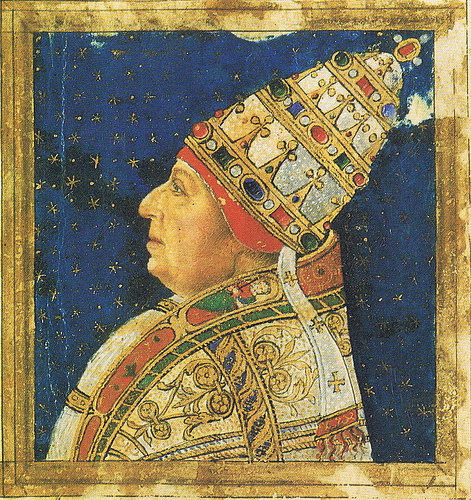 The impetus for On the Papacy was a pair of criticisms he received in the summer of 1520. In May, Augustin Alfeld, a Leipzig Franciscan, sent Luther a letter attacking his views of the papacy. At roughly the same time, Luther also received the Epitome, a tract written by Sylvester Prierias. Prierias was the master of the sacred palace in Rome and had earlier written his Dialogus criticizing Luther’s views of the papacy during the indulgence controversy. However, after the Leipzig Debate, the question of the papacy took a more central place in the opposition to Luther, as the missives from Alfeld and Prierias reflect. Luther went on to publish Prierias’ Dialogus with his own extensive commentary and had it printed the same day as On the Papacy. The text of On the Papacy is largely moderate given Luther’s later positions. He affirmed the authority of the papacy, adding that it was only of human right and not divine right. He would ultimately reject even this concession in the 1537 Smalcald Articles, though Melanchthon would affirm with an addendum in his subscription. In the 1520 text, however, Luther urged submission to the papacy, even if it came with the backhanded claim that the papacy was to be accepted as duly constituted authority in the same way the Turk would be under similar circumstances. He makes two notable qualifications to this obedience: the faithful should not submit to the papacy if it either creates new doctrines or is unwilling to submit its judgments to Scripture. With this, Luther lays the groundwork for his rejection of the papacy on the grounds that it fails to meet these two criteria. On the Papacy gives important insight into how Luther’s opinion on church authority is evolving as he prepares to write the landmark Address to the Christian Nobility a few months later.